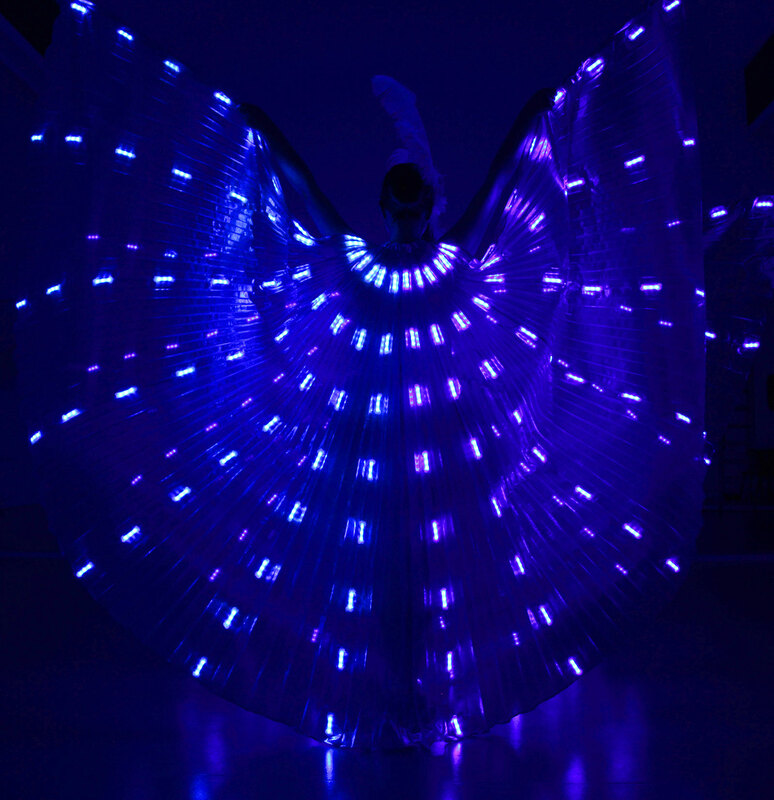 A performance with a extraclass with a spectacular LED Wings!! The Artists from Light of Dance with their magical wings will blow your crowd minds. A beautifull Show for your occasion. Suprise your crowd at every way you can, they will be thrilled. Also you can see such a dance its coming more and more on the televison and the crowd its loving this. 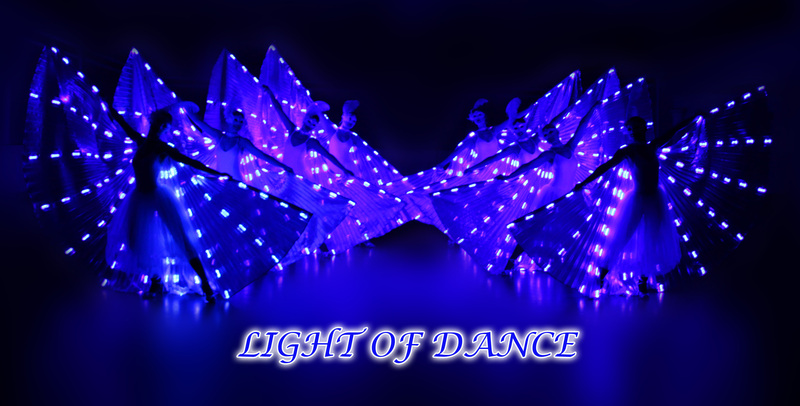 Let the artists from Light of Dance make your night in one unforgettable with LED Wings. 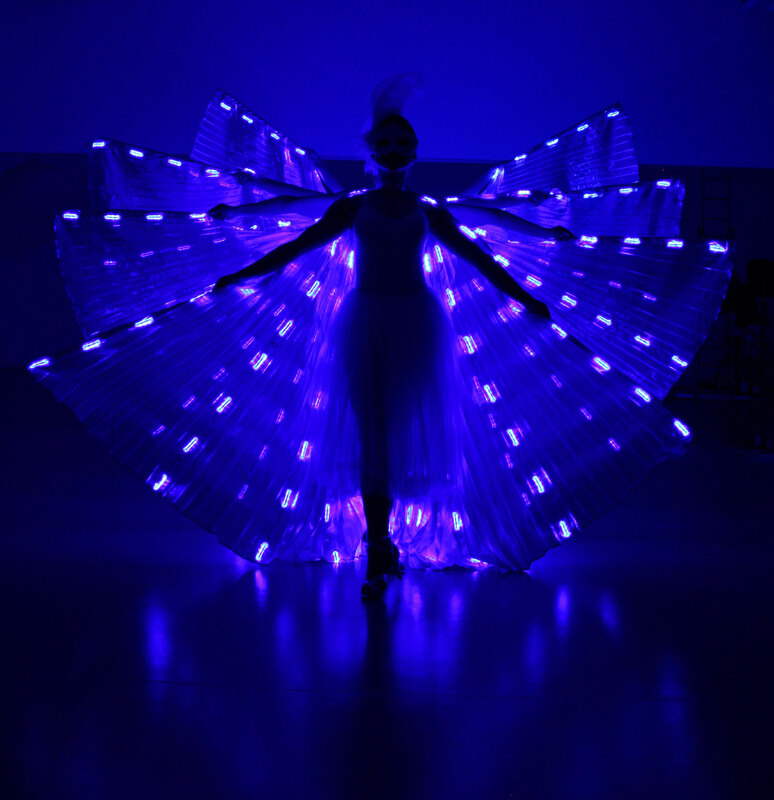 The LED Wings Show is a remarkable event that you dont want to miss. Its the absoulte Highlight for you performance! !